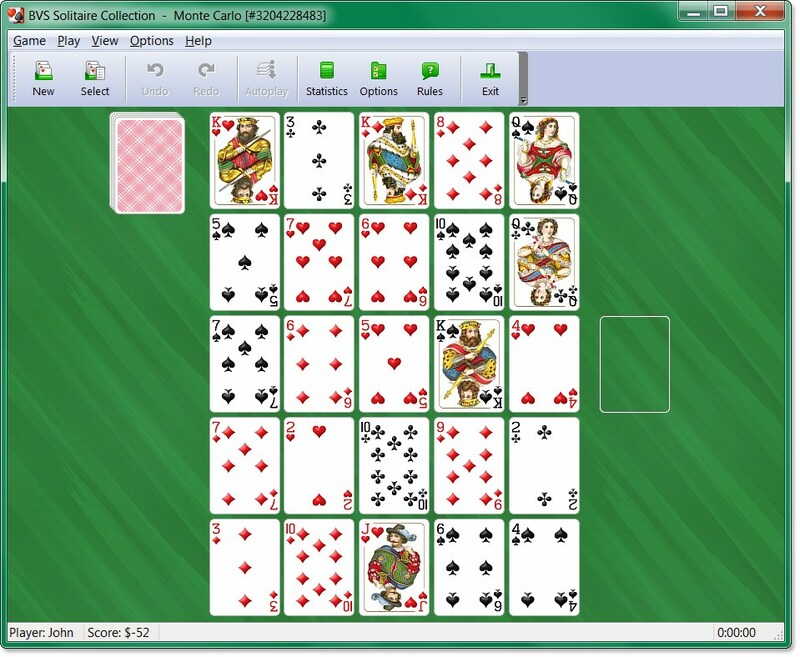 Monte Carlo Solitaire uses one deck (52 cards). 25 cards are dealt into five rows of 5 cards each. To discard all the cards in pairs of the same rank. 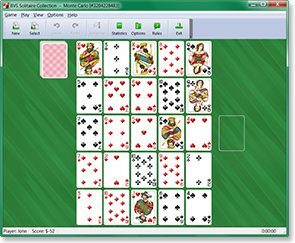 Both cards of the pair should be adjacent in a row, a diagonal, or a column. Select pairs of cards of the same rank by using the mouse. After discarding all possible pairs, click the ReArrange button. The remaining card are moved from right to left and from bottom to top to fill the empty spaces. Then additional cards are dealt from the stock pile to bring the number of cards back to 25.